Yes, it’s true! I won the People’s Choice Award at the Mission Pie 5th Annual Pie Baking Contest! I truly could not have done it without my amazing fan club – those who were at Mission Pie with me yesterday and those who were rooting for my pie from afar. 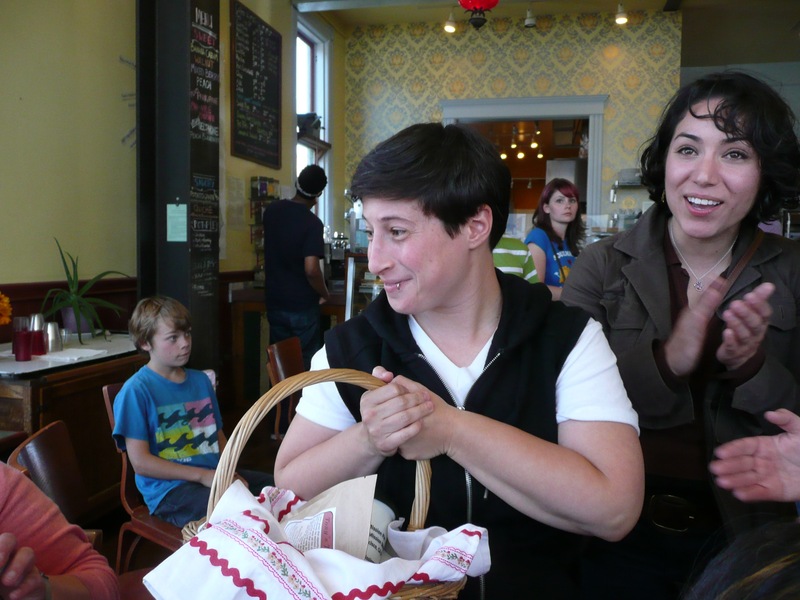 We were written up on the KQED blog – you will see a picture of me and my prize (a basket of baking goodies) toward the end of the article. And yes, that is my mother in the background with the camera. The day was exhilarating from beginning to end. I hit a few bumps in the road while making the pie – but both Cole and Jared helped remind me that baking pies is supposed to be fun. I ended up adding peaches as a top layer to the pie – mostly because I didn’t have enough berries left from our berry-picking adventure a few weeks ago. But I think the peaches were an excellent addition and completed the bite of olallieberry goodness. I also wanted to use a tart crust instead of a traditional pie crust because it’s tastier. The thing about tart crust, though, is that it isn’t as sturdy and fell apart when I tried make a lattice top. So I tried using cookie cutters instead, and I think it worked quite well. 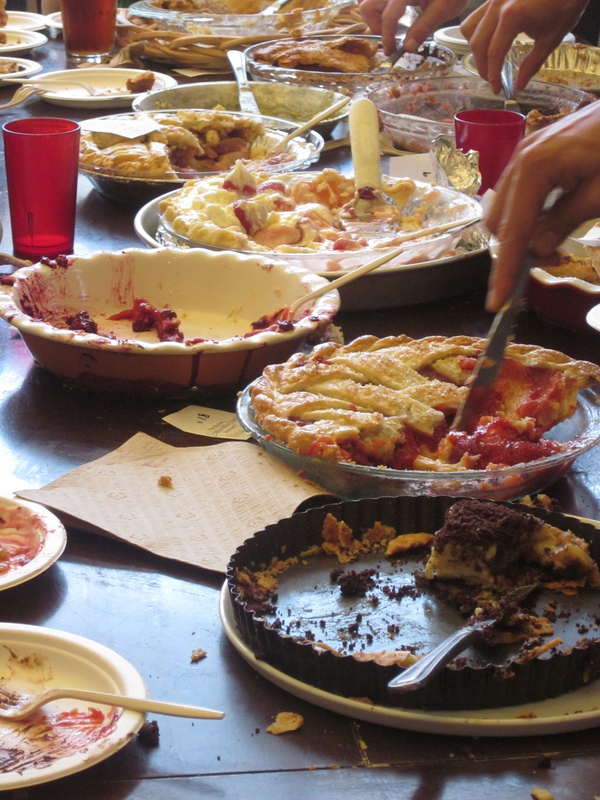 In fact, someone at the Contest told me that she thought my pie was beautiful and that she “couldn’t stop looking at it” – whoa. I’ve added a few photos below, so check them out. And again, thanks to all! How exciting!!! 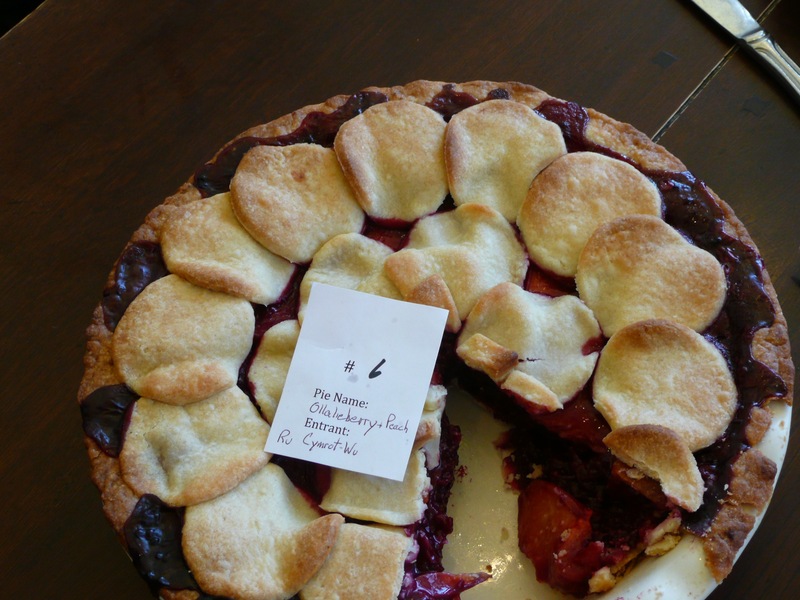 Luv the pic of YOUR pie plate…e…m…p…t…y….. Congrats from Los Angeles. Come to Gma’s and Gpa’s and bake us one!!!!!! pleeeeeze!!!! !